Building a PC is easier than ever before, but there’s still plenty to go wrong. A slip-up might be as simple as forgetting to plug in a wire, or as disastrous as destroying a PCI slot. Enthusiasts have long dreamed of an easier “modular” solution that’d make the process easier. Razer gave the concept new life in early 2014 with “Project Christine,” a sleek, beautiful modular PC concept. And we haven’t heard much of it since. There have been a few other attempts – like Acer’s Revo – but they’ve proven little more than a novelty. Now Asus wants to give it a go. Its Avalon concept doesn’t seem much different from its predecessors at first glance – but there’s reason to think it has a chance. The current Avalon concept looks like any cube PC. It’s compact, boxy, and covered in gunmetal panels that look elegant but aren’t especially unique. It’s a wallflower compared to Razer’s Project Christine. Avalon becomes more exciting once it’s opened. Asus’ approach to the concept is different from most we’ve seen so far because it doesn’t turn its nose up at geeks. Unlike Project Christine or Acer’s Revo, Avalon isn’t built for people who know nothing about computers. Doesn’t that defeat the point? I don’t think so. 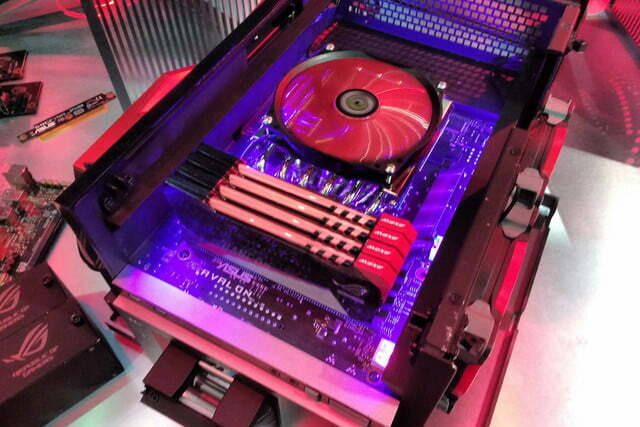 There are some people – many people – who are never going to be interested in building a PC, no matter how easy it is. They just don’t care. The target should not be everyone, but instead those who are interested. Asus’ has taken that route. Building an Avalon PC still means slapping some parts together inside a case, and it still means making some basic selections, such as the processor you’d like to use. But the pieces connect with hard connectors that can’t be improperly installed, so the process is much quicker. A build that might take an hour can be accomplished in minutes. Even PC die-hards can appreciate that. And modular design might be useful for more than just ease of installation. There are many parts of a system that are set, such as the motherboard I/O panel, or the RAM slots. A modular design could make these replaceable, opening up new avenues for customization. Of course, much of these might also be said about Razer’s Project Christine, and we’ve heard nothing about it since 2014. Clearly, it’s not going to see production anytime soon (and probably won’t, ever). Why would Avalon be different? Simple. 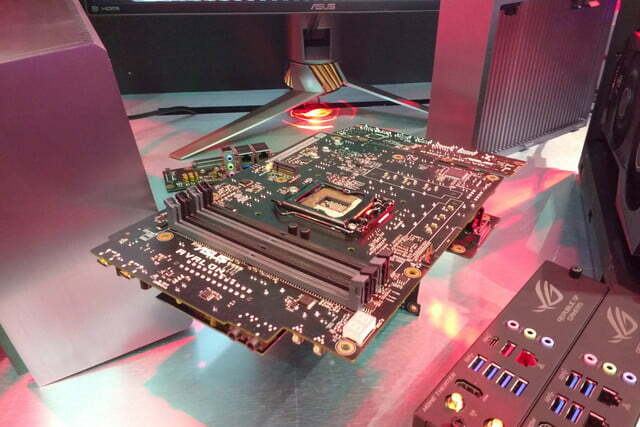 Asus has manufacturing capability, and a lot of it. Razer’s idea relied on the cooperation of other companies, which predictably wasn’t forthcoming. Asus is not bound by that. It can build everything in Avalon aside from the power supply and system fans (Asus currently makes neither). Of those, only the power supply might be troublesome. 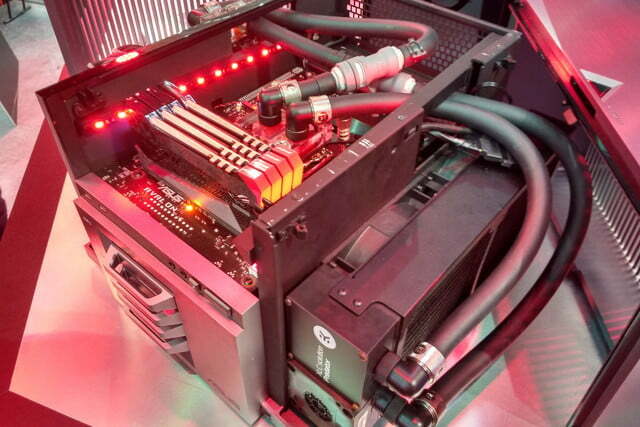 The company has the clout needed to debut a modular PC, too. Its Republic of Gamers sub-brand has huge worldwide appeal, as evidenced by its large fan following and ever-growing sales. PC geeks know ROG, and most seem to have a positive opinion. Even if Project Christine had launched, it’d be a hard sell. How long would it be supported? Who’d make modules for it? With Asus, it’s easier to see how a modular component eco-system would work, and easier to see how the company would pull it off. That said, Avalon is very much a concept. If it does make its way to retail (I’d give that a 50-50 chance), it won’t be coming this year. Or maybe even next. But it does have a path forward. 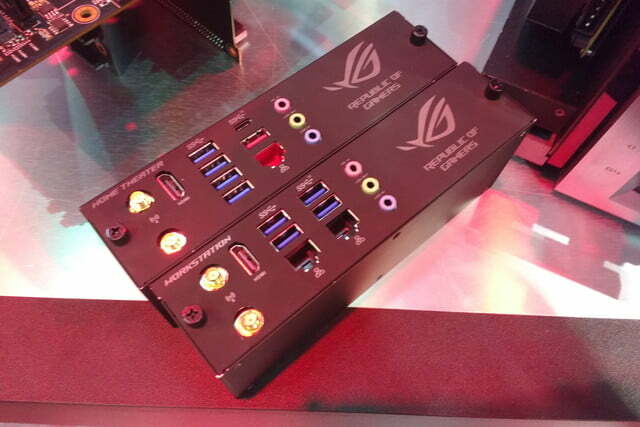 If anyone can make the modular dream reality, it’s Asus.